Congratulations to Zhiying & Collin! I worked with Jennifer from“Events by Cece” for the first time this past June. Everyone was totally blown away by the endless peonies and beautiful sweet table that she designed. It was a gorgeous outdoor wedding. I’m so happy Jenn reached out to work with me for Zhiying and Collin’s wedding. Cheers to new beginnings! 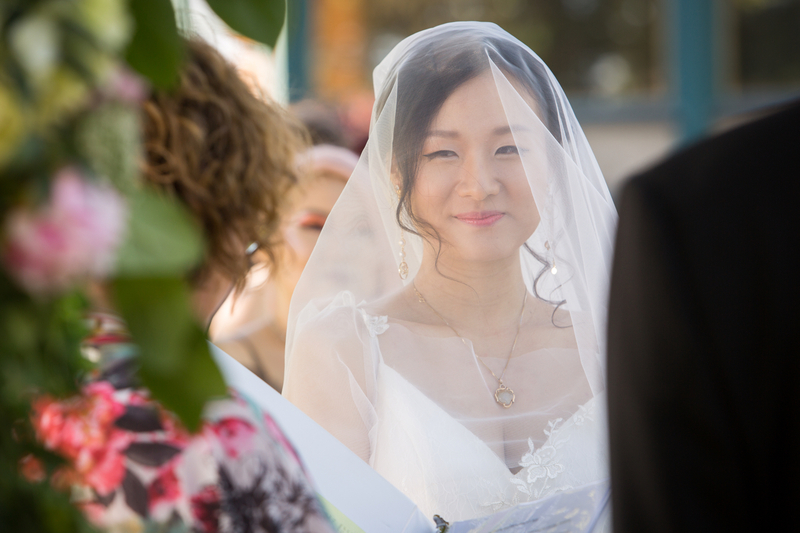 Zhiying was such a beautiful bride.She wore a very, light flowy romantic gown. Her bouquet was entirely peonies, totally in season and fragrent. There is something to say about having a planner for the day of the wedding or for the entire process. There are sooo many details to a wedding, that sometimes are unimaginable. Hopefully, you will be able to relax as much as possible and enjoy the day, without focussing on some of the stresses of the day that can be handled by an amazing team that you surround yourself with. Zhiying and Collin had a stunning flower garland on their wedding. Flower garlands or even balloon garlands adds to the feeling of your beautiful moment. Weather in Montreal is always a factor to consider, so just make sure it’s transportable rain or shine. Zhiying and Collin’s wedding was super intimate, very sweet and had a very romantic vibe the entire day and night. Have you thought about bringing your pet to your wedding? It’s always a good idea. Everyone melts for baby bears. We were all in love with the little tuxedo their darling pup wore. It’s a great opportunity to have your little pal there with his/her favourite people on earth. Animals always add love to anything at all. So, for your wedding day, how adorable! An animal always breaks the ice as well. One of my favourite shots of the day is when Zhiying and her mom formed a heart by sunset. Be cute, be playful and don’t forget to have fun on your wedding day. We get super caught up in the details for soo many weeks and months. Just enjoy the day and really take time for your guests as well. They’ve all waited a long time and have come from near and far to see this beautiful day come together. On their wedding, the weather was on our side. Everyone joined the couple and danced the night away into the beautiful sunset. It was so sweet and felt picture perfect.